Home > Uncategorized	> First equipment arrives! 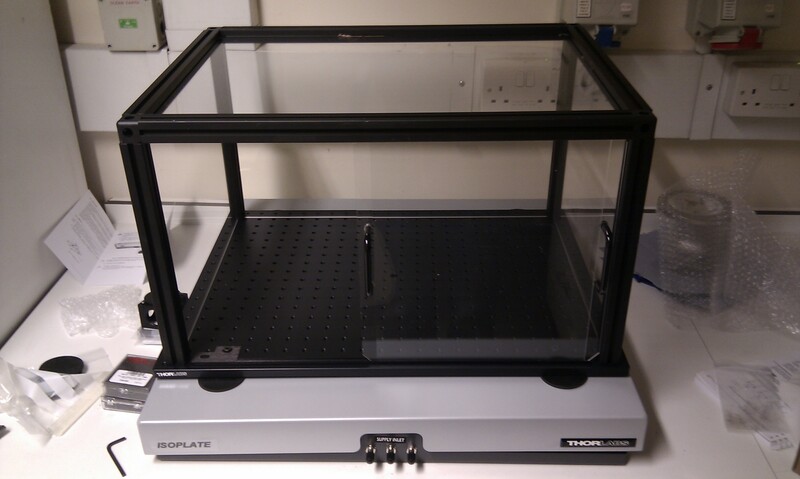 It is with great excitement that we here in The Quantum Workshop have been unpacking the best Christmas present EVER: a vibration isolating plate and plexiglass enclosure! This will house the levitated microsphere experiment, and keep it safe from the world. Much more to follow. Looks like an aquarium… For stranger than fish experiments. I wonder if a fish would appreciate being vibrationally isolated from the world… or being levitated with a laser! The Quantum Workshop is levitating! Hello world!